I've been on the hunt for some new bedding as I've recently ordered Sophie's new single bed and mattress, both of which should be arriving next week. To be honest, I usually struggle finding children's bedding that I like. 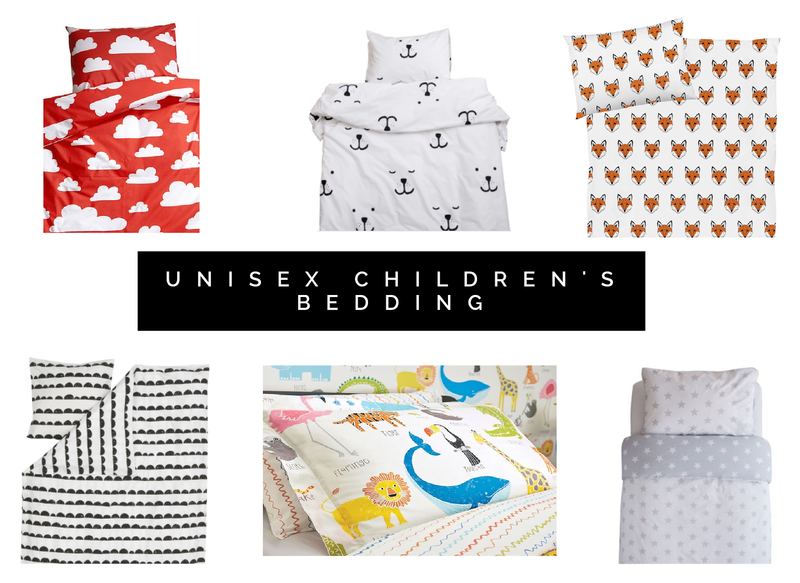 So I thought I would put together a list of my favourite unisex bedding picks. I wanted to include a variety of different colours and prints and I've found some lovely ones, such as the clouds, bear faces and animals patterns. There is bound to be something you like on this list! I've linked them below, if you wanted to know where they are from. I'd love to know which pattern is your favourite? Please let me know in the comments below! I love the fox bedding, that is something I have actually been looking for, for when baby gets older. Absolutely love the fox print, and the monochrome one! I really want Tobias and the Bear for my little boys cotbed, so cute! Great choice, I love the print! I love the grey and white set for me! Gorgeous bedding you picked. I love the fox and the animal magic one. Thank you Janine! I love those ones!